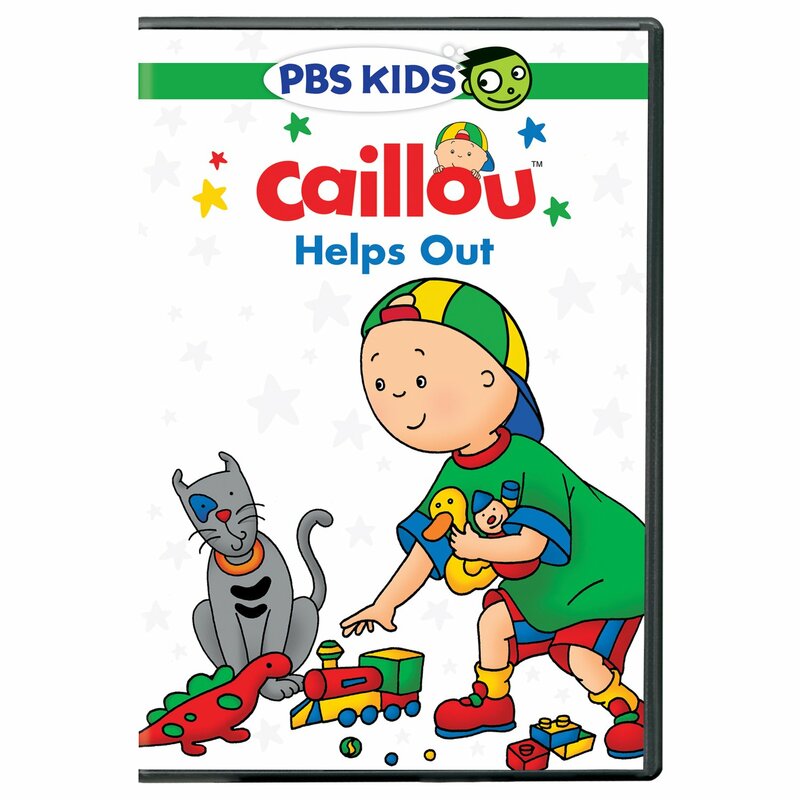 " PBS Distribution announced today it is releasing seven stories from PBS KIDS’ popular CAILLOU series on the new DVD “CAILLOU HELPS OUT.” Caillou loves to help out! From helping his dad make pizza to learning the importance of tidying up the classroom, Caillou realizes that lending a hand and working together makes everything easier and more fun. “CAILLOU HELPS OUT” will be available on DVD June 16, 2015. The run time is approximately 60 minutes and the DVD SRP is $12.99. The adventures included on this DVD are listed below. In one of the stories, “Emma’s Extra Snacks,” Cailloulearns that while his friend Emma has diabetes, it doesn’t stop her from participating in all her favorite activities. A new book from Chouette Publishing called “Emma’s Extra Snacks” will be available this fall. The book, published with the American Diabetes Association, includes a poster about Emma and her diabetes. Daniel comes for a visit and thinks he knows how to put together a model plane...without the instructions. When the plane doesn’t fly properly, Caillou finally gets the courage to point out a poorly connected piece. They fix the plane and Daniel acknowledges that Caillouknows a lot for a little kid! DHX Brands is the dedicated brand-management and consumer-products arm of DHX Media Ltd. (TSX: DHX.A, DHX.B) (www.dhxmedia.com), a leading creator, producer, marketer and broadcaster of family entertainment. DHX Brands specializes in creating, building and maintaining high-profile global entertainment brands within the children’s and young-adult markets. With expertise in brand development, licensing, marketing and creative, we develop brands which captivate and inspire through engaging content, first-class distribution, quality consumer products, immersive live experiences, and digital media. DHX Brands’ world-class portfolio includes Teletubbies, Twirlywoos, In the Night Garden, Yo Gabba Gabba!,Caillou, Ella the Elephant, Johnny Test, Inspector Gadget, and Degrassi. DHX Brands has offices in London, Toronto and Los Angeles. This looks like a great dvd for preschoolers and would also make a great gift.